Dolphin Supreme M500 with Caddy, Deluxe Remote and Enhanced Bluetooth Capability! The Dolphin Supreme M500 is still our most advanced, trusted, and most powerful in-ground robotic cleaner- thanks to remote-controlled setup and cleaning programs delivering maximum cleanliness and hygiene. 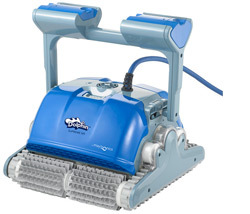 Designed for pools up to 50ft in length, the Dolphin Supreme M500 expertly cleans the floor, walls, and waterline, without intervention. Equipped with Dolphin’s patented swivel cable, this tried and true workhouse was designed to work in almost any pool with fine tuning features allowing owners to customize each and every cleaning cycle. Backed with a full 4 year warranty for 2018, there’s no second guessing as to why it’s been our top seller for 5 years running! 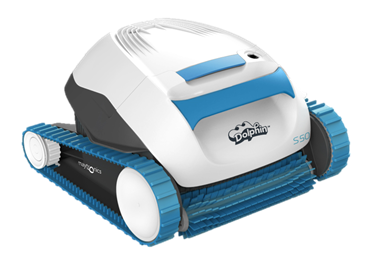 As our smartest robotic cleaner, the Dolphin Supreme M500 has performance driven technology coupled with Dolphin exclusive features that you won’t find in any other cleaner! It’s patented swivel cable keeps the cord, tangle free while it’s triple active brush and dual drive system are paired with the toughest motors Maytronics has to offer. 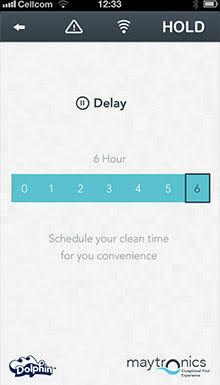 Remote control functions to override automatic cleaning options, spot cleaning, a weekly timer selection and much more! 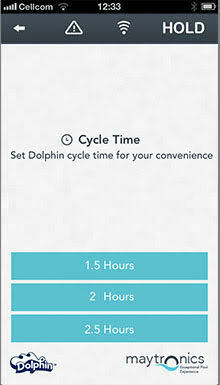 Use the Deluxe Remote Control OR your smart device by downloading the My Dolphin app. Say hello to our most high-tech robotic pool cleaner yet! The Active 30iSW uses top of the line technology inside and outside of the pool to completely amplify and simplify your pool cleaning experience. 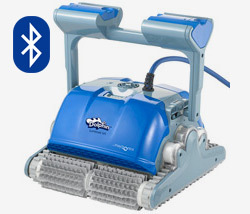 This small but mighty cleaner’s active brush turns two times as quickly as other robotic cleaners, extending its tough scrubbing power to the floors, walls, and waterline of your pool. 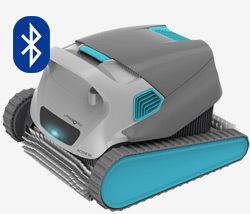 The best part of this clever cleaner is its Bluetooth connectivity, using complex technology to make your job simple. The MyDolphin App allows you to sync your Active 30iSW cleaner with your smartphone to set a weekly timer, select a cleaning mode, specify a cleaning cycle time and start delay, and manually navigate your cleaner with ‘tilt’ mode. Not all premium models are equipped with the same program! Check out these enhanced features, as seen through the MyDolphin app. Simultaneously separates and filters rough, fine and ultra-fine dirt, for highly efficient, clog-free filtration. Snaps apart for super easy cleaning. Extra large filter capacity and surface area. 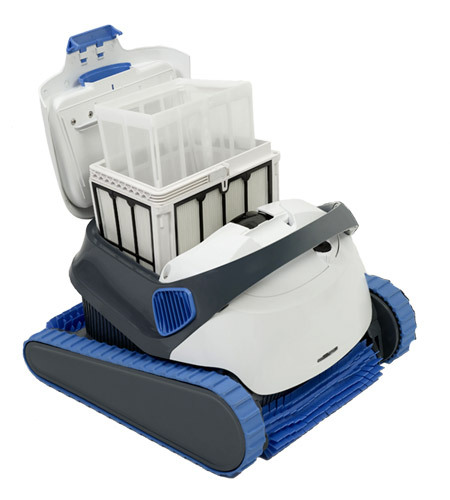 The newest member of our robotic cleaner team, the S50 is the first fully robotic cleaner for ABOVEGROUND pools! No more reaching over pool walls or bending down from the deck to get that squeaky clean pool. Let the S50 do the work for you! 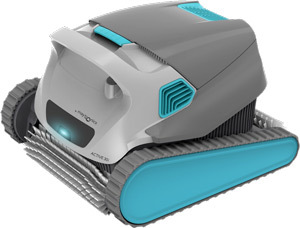 This small but mighty cleaner’s active brush turns two times as quickly as other robotic cleaners. Unlike other aboveground cleaners, the S50 uses robotic scanning technology to ensure that every inch of your pool’s floor is cleaned efficiently. What’s more, the S50 uses a self-contained, top-access filter canister that saves you and your pool filter the stress of traditional vacuuming or suction cleaners.